While a lot has changed in Windsor since 1987, at least one thing has stayed the same. 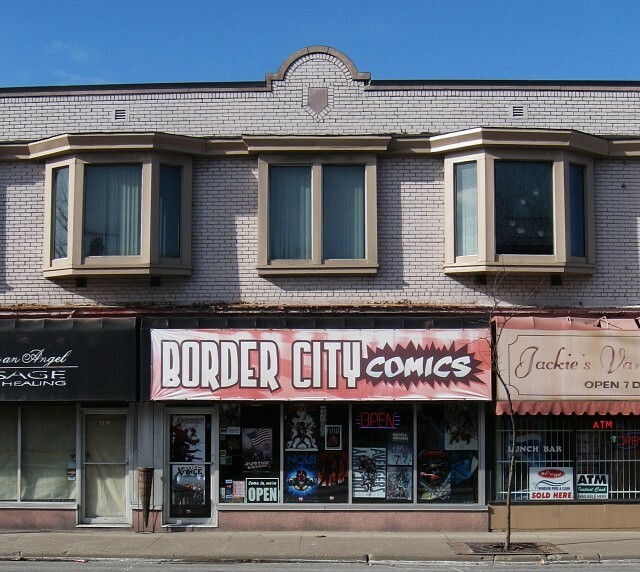 Opening their doors in Walkerville 30-years-ago, Border City Comics (now located at 4449 Tecumseh Road East) is getting ready to celebrate the occasion. With a massive sale set for Saturday, October 14, the store has come a long way since originating as an antiques shop. It all began when Ken and his wife Pat Girard came across some interesting items. From there, the shop bounced around Walkerville for several years: Before moving to their current home, they had four different locations on Wyndotte Street East between Langlois Avenue and Devonshire Road. Operating for so long, that isn’t the only thing that’s changed however. As trends evolve, several notable developments have impacted the comic book landscape since Border City first opened. Not all changes have been positive though. Drastic cover price increases, internet sales and digital comics have made things more challenging. This has resulted in many shops closing over the past 30 years as well. Still, the family-run business has seen it all. From Joker paralyzing Batgirl and the Death Of Superman to Spider-Man’s clone saga and Marvel’s Civil War. Despite this, there’s still one event that stands above the rest. As popular as that day is, many will probably come celebrate the store’s big milestone as well. Graphic novels, hardcovers and trade paperbacks will be 50% off, current issues will be marked down to $1 with box back issues at $0.50 and variant covers at $3. Mystery boxes will also be sold for $20 and may contain toys, graphic novels, gift certificates, vintage comics or other items. Each box is valued at $40 with some reaching $100 or more. While the event is important to the Girards, it’s also a thank you to their loyal customers: As readership gets older, they’ve allowed the store to survive. It’s also this longevity the family is most proud of. After weathering different storms in the industry, all three are just happy to still be a part of the community so many years later. Of course, it wouldn’t be a comic book discussion without talk of time travel though. 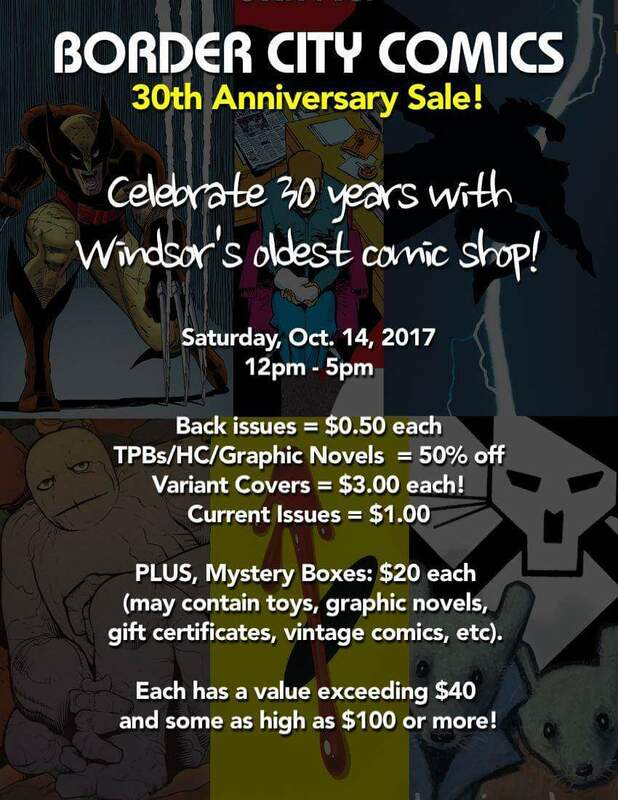 Border City Comics’ 30th anniversary sale will take place on Saturday, October 14th, from 12 to 5pm.